Hunting for eggs in the springtime is fun, but hunting for your missing phone or lost keys? Not so fun! We want you to be able to quickly find both your phone and your keys so you can get outdoors and take some gravestone photos with the BillionGraves app! So here’s the deal . . . you help us by taking pictures and we’ll help you find your stuff! 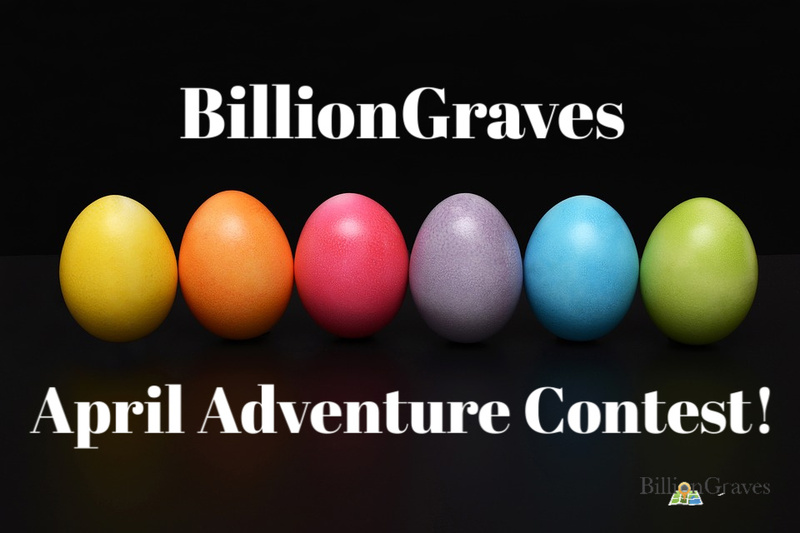 The top 3 photographers and top 3 transcribers on the BillionGraves leaderboard during the month of April will win an Esky wireless item locator with 1 transmitter and six receivers OR a $30 Amazon gift card. But wait, there’s more! Everyone else on the leaderboard will automatically be entered in a random drawing. Six of you will win the same Esky wireless item locator with 1 transmitter and 6 receivers OR a $20 Amazon gift card. 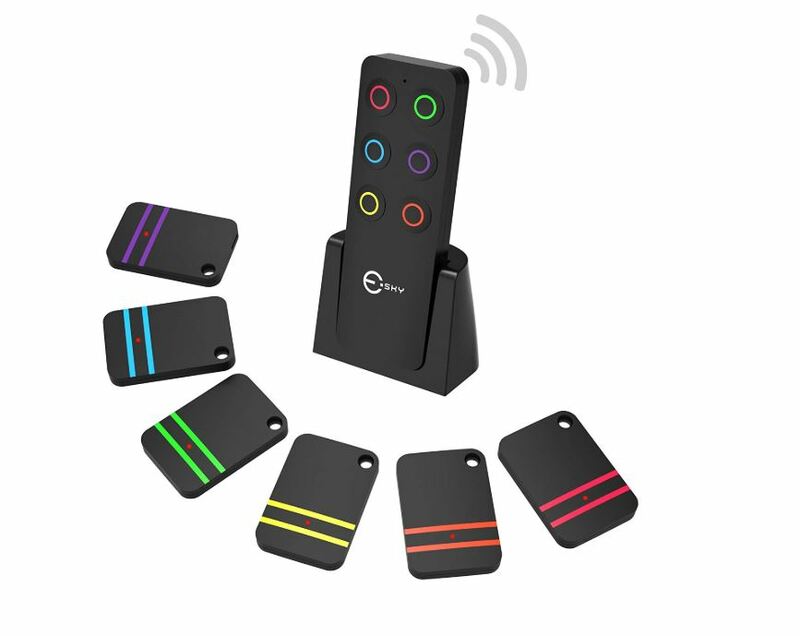 Attach the receivers to any 6 items and simply press the color-coded buttons on the transmitter to locate your missing items. It’s so easy to use! Have you ever misplaced your purse or cemetery bag when you put it down by a gravestone on a BillionGraves outing? 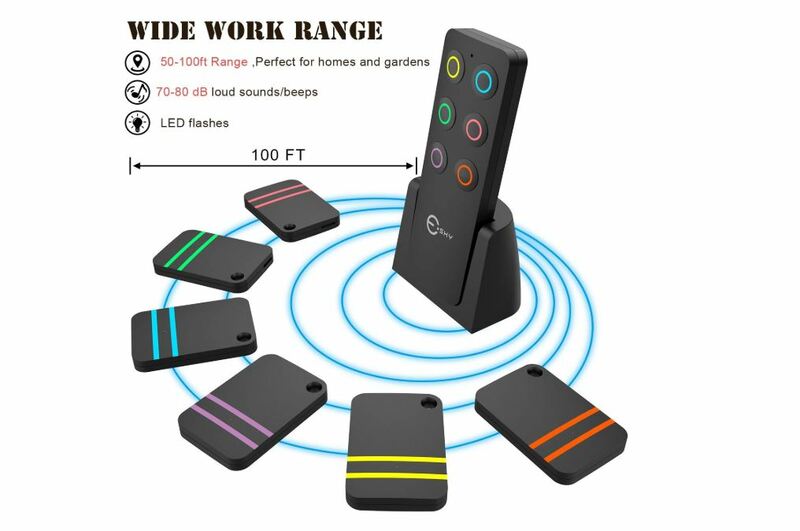 This wireless locator would help you find it in a hurry! The locator works within a 50 to 100 foot range indoors and up to 164 feet in an open space. 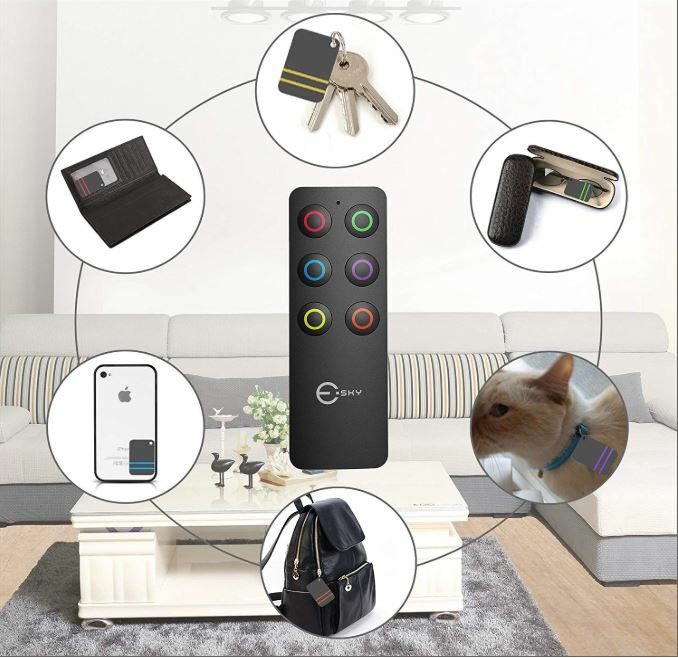 The device’s radio frequency can penetrate through walls, floors, cushions, doors, and more to help you find your missing items. The receiver beeps to guide you to your lost item. Problem solved! Now let’s get outside and take some photos! Download the BillionGraves app to your smartphone. Create a free account on the app or at BillionGraves.com. In the app, click on “take pictures” to begin taking gravestone photos. The GPS location will automatically be recorded. When finished, connect to Wi-Fi and upload cemetery photos. Stand to the side to avoid casting a shadow. Remove weeds, grass, or other debris that may block gravestone information. Be sure names and dates are inside the photo frame. Use the link icon in the corner of the screen to connect photos. This may be done for gravestones with multiple sides or to link family members. Use the pencil icon in the corner of the screen to label stones that may be difficult for transcribers to read. All photos and transcriptions must be submitted before the closing date of April 30, 2019 @ 11:59:59 pm GMT. Any submissions after that point will be excluded from the final results. This promotion is intended for BillionGraves photographers and transcribers. Supporting records will NOT be counted towards the monthly totals. Only images that originate from the BillionGraves app will be accepted. If you select the Amazon Gift Card, options for the .US, .UK, and .CA have supported gift card options. You can select this when you claim your prize. In countries where Amazon does not deliver physical products a gift card will be automatically be selected and emailed to your BG Account. If you or another user marks a headstone picture as “bad” we deduct it from the uploader’s total images. Be sure you have permission and are welcome to take pictures in the cemetery. Remember, private cemeteries require the permission of the owner before taking any pictures. More than one individual may contribute to a single account, however, the limit is one prize redemption per BillionGraves account. The prize will be claimed by only the username the combined work was completed under. BillionGraves will not arbitrate any disputes. ALL RECORDS MUST BE UNDER ONE ACCOUNT. BILLIONGRAVES WILL NOT COMBINE ACCOUNTS UNDER ANY CIRCUMSTANCE. Items will ship within 2-3 weeks after contest closes for winners residing in the U.S. International winners please allow 4-6 weeks for items to be delivered. Due to current world-unrest, some areas may increase the amount of time it takes for prizes to be delivered. If for some reason your country isn’t compatible with the prizes offers, we will work with you to provide you with a prize or gift card that is equal in value. Recipients will be required to provide a mailing address for physical items. WE WILL SEND OUT CONFIRMATION EMAILS TO WINNERS BY MAY 3RD. ALL PRIZES MUST BE CLAIMED WITH PROPER MAILING/DELIVERY INSTRUCTIONS BY MAY 10TH OR YOU WILL NOT RECEIVE THE PRIZE. Are you new here and wondering what BillionGraves is all about? Then read this . . .
Across the world, gravestones are deteriorating and erosion is erasing the precious details of our ancestors’ lives. With BillionGraves, even if a loved one’s gravestone is damaged or worn by time, the invaluable information recorded at their final resting place will still be available. BillionGraves is the world’s largest GPS-linked cemetery database. BillionGraves’ mission is to document cemeteries in an effort to connect this generation with their ancestry and heritage. Volunteers download the BillionGraves’ app on their smartphones and then use it to take photos of gravestones. It’s as easy as taking pictures of each grave as they walk along. In just a short visit – about an hour – 300 to 400 records can be preserved. When the volunteer is finished taking photos they upload them – with one click of a button – to BillionGraves’ database, so everyone can use them for family history and keep the memories alive of those we honor and love. As the photos are taken each one is automatically tagged with a GPS location and a pin appears on a map marking the location of the gravestone. This also makes it easy to find other family members based on burial proximity since about 70% of people are buried in family plots. Volunteers can then choose to transcribe the names and dates from the gravestones on their own or other volunteers will transcribe the data. The information is immediately made available for free for millions of families around the globe for generations to come. You can go to the cemetery right away and begin taking photos on your own or with a group or you may register to be the project leader. 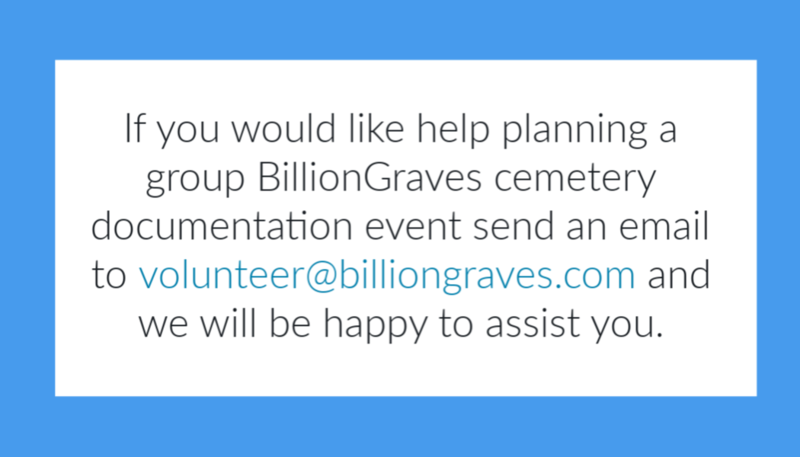 To become the project leader go to https://billiongraves.com/create-event and select a cemetery. If you choose to invite others to help you take photos, you will easily be able to send them emails through this webpage as the project leader. Whether you decide to photograph on your own or with a group, please go here to find your cemetery and declare it complete when all the gravestones have been photographed. WordPress Theme built by Shufflehound. © BillionGraves Holdings Inc. All rights reserved.